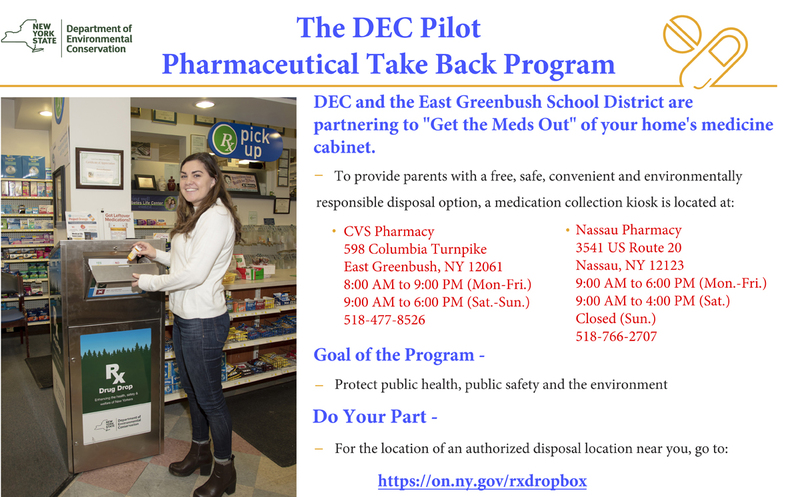 East Greenbush Central School District has partnered with the Department of Environmental Conservation to promote a Pharmaceutical Take Back Program at two local pharmacies. As part of the program, families can dispose of medications at kiosks inside the CVS on Columbia Turnpike in East Greenbush and the Nassau Pharmacy in Nassau. The goal of the program is to protect public health, public safety and the environment.